There is much debate in the medical world regarding acl reconstruction graft choices. The two most common grafts for ACL surgery are the hamstring tendon and the patellar tendon. Each have benefits and drawbacks. 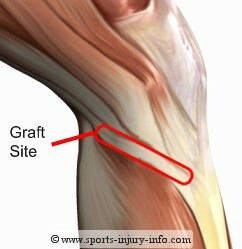 Understanding both types of grafts is very beneficial if you have a choice for your ACL reconstruction. Most surgeons only perform reconstructions with one type of graft. However, if you feel strongly about one or the other, you should discuss your options with your physician. 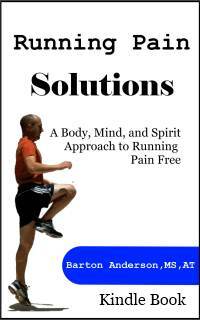 Below you will find the major benefits and drawbacks for the hamstring tendon graft. The hamstring tendon graft used for a reconstruction often comes from one of the medial hamstrings, the semitendonosis or semimembranosis. The semitendonosis is most commonly used, because of its easily accessible insertion at the medial tibia. The tendon is harvested from an anterior-medial incision, and the tissue is disected down to the tendon / bone interface. A tendon stripper is used to remove the tendon. Once the tendon is removed, it is folded over itself twice, producing a graft that is 4 layers thick. The hamstring tendon graft is fixed into the bone tunnels using various methods of hardware, often involving screws and washers. The major benefit of using a hamstring tendon graft for a reconstruction is the decreased trauma to the extensor mechanism of the knee. Because the quadriceps and patellar tendon are not involved in the graft harvest, there is less anterior knee pain, and quadiceps function often returns faster. Range of motion may also return faster, again because the anterior knee is not insulted during the surgery. The major drawback for the hamstring tendon ACL reconstruction is the lack of bone on bone healing with the fixation. Because the hamstring tendon graft is made up only of soft tissue, the incorporation of the graft into the tunnels is not always as solid as the patellar tendon graft. 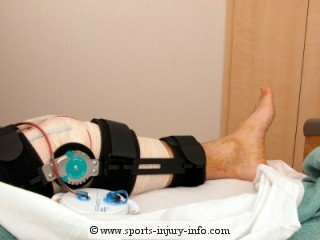 The hamstring tendon relies on hardware to maintain it perfect position after surgery, and the incorporation of the graft takes somewhat longer because there is no bone on bone healing. This may result in long term stretching of the graft, or migration of the graft after surgery, allowing more laxity or looseness in the knee. There is also a higher incidence of hardware removal with hamstring tendon reconstructions, as the screws used to secure the graft may cause problems several years later. ACL reconstructions can be performed with several different graft types. The hamstring tendon graft provides a graft that does not compromise the extensor mechanism, allowing for faster return of range of motion and quadriceps function. It does however, have the possiblity for stretching out, and a higher incidence of hardware removal over time.